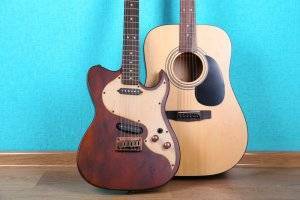 Drums Or Guitar: Which Instrument Is Right For You? Choosing between drums or guitar will either be an easy or extremely difficult choice. For those who already have an affinity for music and a certain level of skill, they can easily pick the path that they should take. 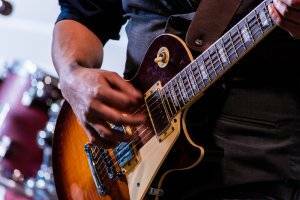 Whether they choose drums or guitar, it doesn’t really matter… These talented individuals can certainly pursue their preferred instrument without having trouble at all. But of course, there are some people who need a little guidance. If you are just starting out, then it might be best if you dedicate your efforts to practice one instrument at a time. Otherwise, your playing skills might not progress as quickly as you want. Both the guitar and drums have their own set of advantages and complexities. We can usually see them being played together, in a band or group, but these two arsenals are not really related to one another. 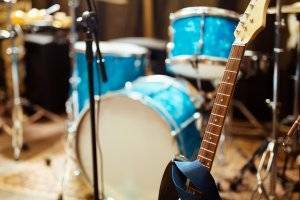 Honestly, being a drummer or a guitarist will yield some burdens on your part. Before you can reach the peak, you have to overcome a number of obstacles that present themselves when learning these instruments. Because of these given factors, it is important that you determine which of these two musical instruments you want to dedicate your time and effort to. Beginners would always feel a sense of doubt whenever they are asked to decide which instrument to learn and play. Even I had been in this predicament, too. Trust me. I know what is baffling you right now. Honestly, I am a self-confessed guitar-lover. It is the first instrument that I have learned, and I never felt any regret choosing the guitar. And through musical passion, I went on to learn the basics of drums too. If you want to know the factors to consider in choosing the right instrument, I encourage you to read the rest of this article. I hope this will help you decide! It is Time to Decide! Whenever you are choosing an instrument, it is pretty essential that you recognize them as serious forms of investment. Yes. 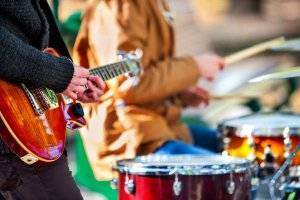 It is true that some of us just want to learn the guitar or drums for leisure and hobby purposes, but know that this simple hobby can turn into something that will hook you in and become a vital part of your life. I’m a living proof of that. This fact should not daunt or discourage you. Actually, it should make you excited! Music, as part of your lifestyle, is great. There are a lot of benefits that you can reap from it. But at the same time, it will require you to give a piece of yourself to it. The first deciding factor for every beginner should be the cost of the instrument. As I mentioned earlier, these musical items are investments. Therefore, you need to cash in before you can acquire them. 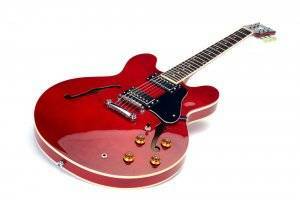 From the price of the guitar and drums, you should be able to decide which of them you will pursue. There is nothing wrong if you uphold practical reasons. A beginner guitar would cost you around $250, give or take. Take note that this is the safest range for entry-level guitars. Never go lower than this budget, or else, you will get a flimsy and poorly-designed unit. Even if the instrument is a starter kit, it should still have decent quality. The unit should be able to support your practice routines. Moreover, it should be durable and rugged enough. You don’t want to have to buy replacements just two to three months after your purchased your first guitar. Fortunately, the market today is brimming with options when it comes to beginner guitars. You can even see starter packs for both acoustic and electric guitars. But for me, you should go with acoustic guitars first. They are the ideal choice for practice purposes since they are economical and simpler to use. 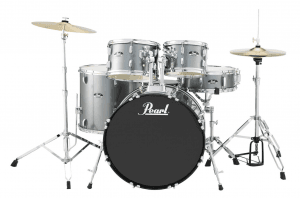 There are also starter kits for drums but they are sometimes more expensive than guitars. The last time I checked, a beginner drum set can cost up two to three times more than its stringed counterpart. However, with this price, you can already get a full-sized drum kit that comes with cymbals and the essential hardware you need. If you want to be a musician, you should be ready with the expenses that come along with purchasing instruments. Of course, you need to invest in decent units if you want to maximize your playing potential. Moreover, even high-end starter kits do not last forever. Due to wear and tear, you will need to replace some of its parts. Also, the more you get better, the more likely you would need to upgrade and purchase a better unit. Take note, if you plan on excelling in your chosen musical field, the acquisition of instruments will become a never-ending process. It is not a one-time investment. Although it seems like guitars are way cheaper than drums at the start, you still have to consider how many guitars you will eventually need to buy in the future. Drums can be replaced part by part, so the cost of upgrading might be more affordable in the long run. You might think it’s absurd to include the loudness of an instrument in the equation. We all know that both of these instruments create sound. And they could both be loud at a certain point. However, the volume of the instrument is quite an issue, especially if you are living in a residential area, a household that is packed with people, or an apartment with paper-thin walls. Once you acquire your first instrument, it is a given that you will play it as much as possible. This scenario applies to every beginner out there. This passion to learn is great. However, things will not go your way smoothly, especially if you are disturbing other people. When it comes to loudness, it is undeniable that acoustic drums are louder than acoustic guitars. In fact, it can get so loud that one solid tap can awaken a deeply slumbering person. If you have no idea how loud drums can get, visit a rehearsal studio and get ready to have your ears blasted. Still, this should not stop your dreams of becoming a drummer. You just need to find out the best time to practice. If you are currently residing with other people, you ought to limit your practices during times when noise is acceptable. This way, you can safely improve your skills without annoying other people. If you don’t want to deal with other people regarding the noise, consider getting an electric drum set instead, or a try a practice pad first. Although usually quiet enough to be played indoors, guitars can also be loud enough to annoy the neighbors. Guitars, especially the electric variant, can create loud screams. Luckily, just like electric drum sets, they come with adjustable volume knobs. No matter which instrument you choose, the sounds that it will generate can be audible throughout your house and maybe even across your neighborhood. Even a starter unit can achieve such feat. If you have installed a powerful amp with your rig, the sound will surely blast off the roof of your house. 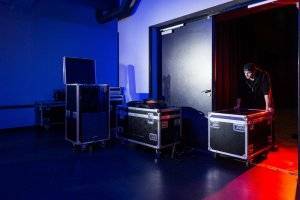 If you really want to play loud in your house, consider having a soundproof room. Sure, it is true that both drums and guitars are heavy. But between these two, guitars and their accessories appear to be a lighter load. A drummer who constantly performs in different places should be used to shuttling his/her equipment around. Additionally, the better their drum set is, the bigger it usually becomes. Therefore, having a vehicle will be necessary if you plan on bringing your drum set from place to place. But if you just want to play your drums at home, then portability will not be an issue. Things would be a lot easier on your part if you have technicians and “roadies” to do the dirty work for you. These individuals are the ones responsible for packing and assembling your stuff. But their services come with a fee. And it is not that cheap either. Until you achieve the rock star status, you will have to do the manual labor by yourself. If you have bandmates that are willing to lend their hands, then you are lucky. However, most of the time, the setup process will always be your responsibility. As a musician, I know for myself that there is a high demand for drummers in the industry today. If you acquire great skills with this instrument, finding a band or place is a piece of cake. I always consider that guitarists like me are just common faces. In fact, even kids at the age of 7 to 10 have the capacity to play complex pieces already. A well-versed guitarist is not that rare anymore, except if you have the same instrument affinity as Jimi Hendrix. People who choose the path less travelled are quite precious beings. Many bands today are always looking for great drummers and bassists. If your goal is to get hired in a band immediately, then these are the instruments that you have to learn and master. The doors are always open for drummers. Bands will welcome you with open hands. The industry will pursue your talent. Guitarists don’t always have these perks. This particular scenario gets even better the longer you are in the scene. As a drummer, you will not feel insecurity if some talents will sprout. After all, you know for yourself that there are only a few individuals that are on the same line. This gives you the working flexibility. You can name your price. You can even leave a band and let them chase you. Now, this is the final deciding factor that every interested musician should know. Both the guitar and drums are standard instruments in the modern music scene. Despite this, these two items do not come straightforward. At some point, you will realize that there are certain technical concepts behind drums or guitar that are very hard to grasp (but not as hard as – I recently found out – playing the violin). Therefore, it is appropriate which of the two of them will give you the easier time. So which is easier to play: drums or guitar? Sadly, the answer to that question is really up to you. Each of these instruments has different levels of complexities. If you want to master them, you will need to dedicate your time and effort. They both require you to have a basic sense of rhythm. For the guitar, you will need to improve on the dexterity of your fingers and you should be able to know if your guitar is out of tune. However, if you want to learn something that you can easily learn and play “solo”, then the guitar might be the one for you. Just learn a simple chord and you can already play some simple songs. For drums, you will need to at least have arm and leg good coordination. If you don’t realize yet, drums require more physical effort and possibly more dedication. That said, drummers rarely have “solo” concerts but, just like what I mentioned earlier, they are an integral part of a band. A band with no drummer is like a song with no beat. I have been playing the guitar for almost two decades already. But I cannot really say that I have reached the summit or that I know everything about the guitar. Each day, I see various videos uploaded on the internet that show new styles and approaches in playing the instrument. I am sure that professional drummers encounter the same predicament as I do. Therefore, with whatever instrument you choose, if you want to be someone someday, you have to start grinding ASAP. Drums or guitar? Have you made your decision already? A guitar is more affordable at the front-end, more portable, and the music you play will be easier to recognize by non-musicians. Drums take up a lot of space and takes a little more effort to learn, but at the same time, being drummer makes you a golden egg. Bands will certainly look out for you, especially if you have a special affinity to this instrument. It is a hard but sure route to stardom. Regardless of these factors, take note that you still have to consider your dreams and desires. If you are itching to become a drummer, by all means, become one. Don’t push yourself towards something just because it is more “practical”. You will just be wasting a lot of time, money, and talent. Of course, you can still pursue the other instrument if you already mastered your first choice. You can start learning the guitar if you are already confident with your drumming skills. At the end of the day, you just have to realize that learning musical instruments is never a bad move. Apart from potential stardom, there are tons of benefits in learning to play an instrument. I hope this article has helped you decide. Always remember that music is not something that should stress you out. Take it easy. You can certainly make a decision soon! Let me know in the comments. I reply 100% of the time! Thanks a lot, Wahaj! Happy I could help! 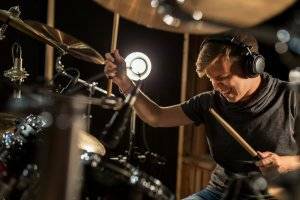 A very helpful and great article about Drums and Guitar. The key factors are really very informative. I agreed with this fact that both of the musical instruments are versatile and both have their own advantages as well as complexities. Thanks, Fozia. I appreciate your feedback and comment! That’s great, Shamanth. Let me know how it goes or if you need any help!